Since its inception Dazed and Confused has been one of the standards by which other magazines are judged. The Dazed look – that instantly recognizable blend of innovation and edge, has spawned imitators, but none that can match the original when it comes to style and wit. 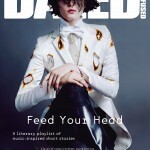 With the launch of the July issue Dazed begins a new era of creativity. Led by fashion director Robbie Spencer, the London glossy breaks new ground with content that pushes the visual envelope and dares to inspire and provoke. 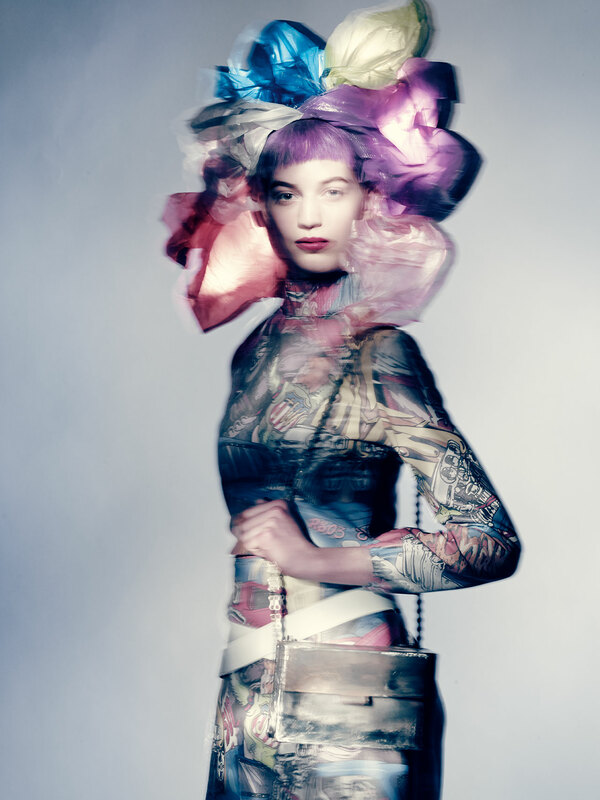 The dazzling 30 page Paolo Roversi cover story is a near mythic exploration of “trash fashion” that reveals the extraordinary quality of discarded objects. Finding the beauty in the unexpected is one of Robbie Spencer’s specialties; throughout his illustrious career he has continuously taken fashion into the realm of art with unorthodox styling, creating some of the most memorable imagery in recent memory. In this Models.com exclusive preview, he unveils his plans for Dazed’s future, the inspiration behind the astonishing cover story and just what keeps him excited about fashion. What does your new position as fashion director entail? Under my direction, alongside Creative Director Chris Simmonds and Editor Tim Noakes, I intend to build on the visual language we have developed as a team over the past three years. My goal is and has always been to create and commission memorable imagery, as well as unifying the Dazed aesthetic for both print and digital. As Fashion Director I intend to bring a youthful enthusiasm to the pages of Dazed, working with a new fashion team as well as new contributors. This marks a new era of Dazed and I am excited about what we can achieve together. What made you want to work with Paolo on your first issue as fashion director? It was a real privilege to work with Paolo on my first issue as Fashion Director of Dazed & Confused. I felt like he was the perfect component in capturing the rawness of the issue’s “trash fashion” theme while also producing some beautiful and almost couture-like imagery. I felt like together we were able to create a real statement of intent using some of our favourite girls: Kati Nescher, Vanessa Axente, Marie Piovesan and Ondria Hardin. What do you feel this new era of Dazed represents? Since the beginning, I would like to think I have brought a strong aesthetic and youthful philosophy to Dazed. I am excited to mix young and established names, something that we do so well. I am interested in building on our fashion vocabulary. We are in an era where a magazines’ print future is uncertain. I believe the only way to make secure a future is to continue to inspire the industry and our readers through our visual language. Each issue needs to be collectable and book-a-zine like. Fashion magazines need to have impact and poster appeal. I like the idea of our readers ripping out fashion images from the magazine and putting them up on their bedroom walls. I used to do this as a teenager, and I feel like magazines still need to have that. Every image should be the product of interesting collaborations, a mix of young and established names, art photographers, legendary fashion photographers, up and coming photographers, young London talent, and contributors on a more international level. This mix is the DNA behind Dazed. I am also very excited to be Fashion Director of Dazed Digital. For me, the website and magazine are one. We work as one team across both platforms, and as we launched Dazed Digital so early, we are lucky enough to have secured such a strong following. Each strengthens the other, and exploring the creative possibilities between print and digital platforms is something I have always been very interested in and want to continue to develop. How would you say the magazine has evolved and changed over the years? 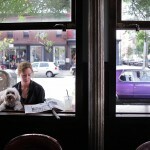 The magazine has changed dramatically over the past eight years. I joined Dazed before the online side of fashion really took off. We were still faxing sample requests! I have seen the rise of Dazed Digital – we launched the site very early on – and I feel like this is the most exciting time where we can create crossover content rather than compete with each other. We have such a strong family and legacy of amazing talent that have grown through Dazed. It is bit like a school where you train and develop your skills. We have such an amazing alumni and family of contributors. It has always been a hub of creativity and nurtured some of the most talented stylists in the industry: Katie Grand, Katy England, Alister Mackie, Nicola Formichetti, Cathy Edwards, Bryan McMahon, Karen Langley, and Katie Shillingford, to name a few. Jefferson has always been so encouraging and supportive of young talent. The idea of performance in fashion and art in fashion is very important. It’s very easy to succumb to the commerciality of it all, but you have to keep pushing ideas and keep doing things that surprise people to feed the industry creatively. When was the first time you worked with Dazed? I have been a part of the Dazed family since I started working in the fashion department back in 2004, while completing a BA in Fashion Journalism. 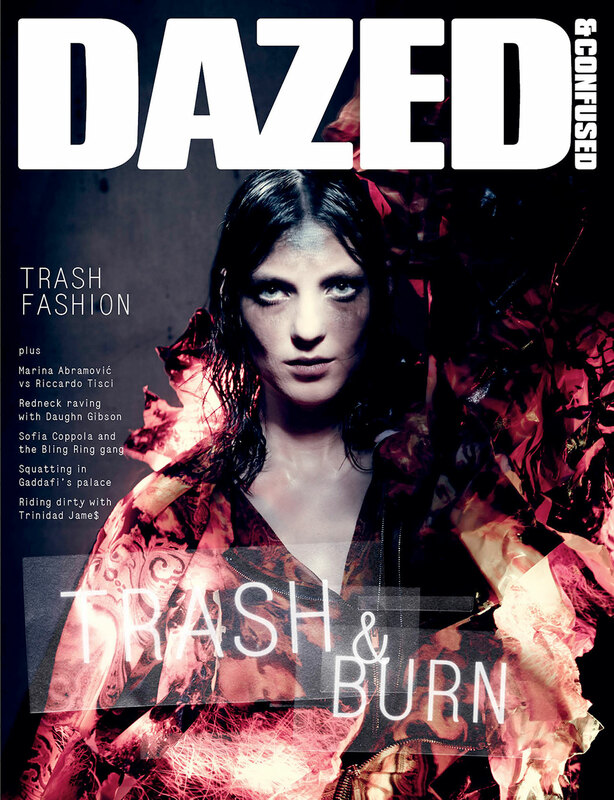 Immediately, I could see Dazed as a really creative platform. The career of Stylist/Fashion Editor seemed really appealing. I liked the way you could create images and that the tool for a stylist was clothing. You could see that it was a place where you could find creative expression, but also quite clearly a pathway to a career. I think my dedication to Dazed has enabled me to progress through the ranks and develop my visual language through the pages of the magazine. I initially studied art. I’m really interested in history and if I hadn’t joined Dazed then I probably would have done a History of Art degree. I would like to think that all my work has that element of historical reference to it. Even if you don’t necessarily see it in there, it’s important to me that it has some kind of context, art reference, or historical reference. Can you talk a little bit about the main story and the idea behind it? The shoot was inspired by the recent punk resurgence such as the ‘Chaos to Couture’ punk exhibition is currently on at New York’s Met Gallery. I wanted to resort back to the DNA and ideologies of the punk aesthetic, taking the AW13 focus on raw materials and turning the collections on their head, crushing them up and setting them on fire. The shoot consists of beauty portraits, nudes and more extreme anti-fashion /recycled fashion looks over thirty pages featuring Kati Nescher, Vanessa Axente, Marie Piovesan and Ondria Hardin. 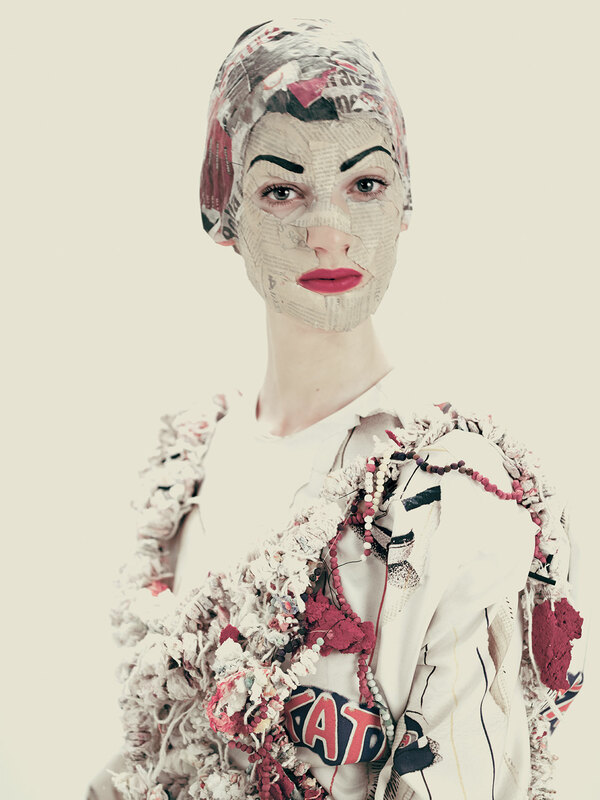 The Trash Fashion issue is all about taking discarded materials and crafting them into couture-like iconic images. I felt the image of Kati Nescher wearing Givenchy by Riccardo Tisci and a burning paper stole created by London CSM graduate Luke Brooks was a great sentiment for my first cover as Fashion Director. I like the idea of a magazine cover in flames. Elsewhere in this issue, I have shot with some of my favourite photographers including Jeff Bark. We shot a Fendi AW13 special turning Joanna Tatarka, Marta Dyks and Binx into NY Fendi fur punks. The new faces from Hedi Slimane’s Saint Laurent AW13 show – Gryphon, Kremi, Maria Loks, Maria Bradley, Anmari – feature in a grunge inspired beauty story shot by Richard Burbridge. It’s really amazing when you get a student from some provincial town messaging you saying how much it’s inspired them, or you get a note from someone like Miuccia Prada saying they loved an image you made. You get a lot of satisfaction out of that because you feel like they’re actually seeing it and that you are connected in some way, and that they actually felt something. What keeps you excited about fashion? I love the fact that everything keeps changing; the creative possibilities are limitless. You can have an idea in your head and with a lot of hard work and communication end up realising it as a printed image. I love collaborating with inspiring people that I can identify with and share a mutual understanding with and passion for creating a great image. 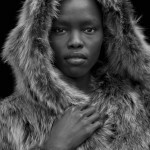 Photographers such as Ben Toms, Hedi Slimane, Mario Sorrenti, Paolo Roversi, Richard Burbridge, Jeff Bark, Pierre Debusschere, Collier Schorr, as well as other collaborators such as set designer Janina Pedan and make up artist Peter Philips. I find it so inspiring to work with someone with an art as opposed to just fashion, because you do not actually own an image. You create an image, but you don’t necessarily have ownership over it; you’re just a team player in it. It would be nice to actually own the image you create. Maybe someday I should start photography! I think in fashion imagery it is important to suggest ideas and make people think. You want to inspire the industry as a stylist. Especially as the industry is so driven by commerciality, you want to feel like you’ve given something back. I want to have a lasting legacy, to be remembered for making something special. The idea of performance in fashion and art in fashion is very important. It’s very easy to succumb to the commerciality of it all, but you have to keep pushing ideas and keep doing things that surprise people to feed the industry creatively. It’s really amazing when you get a student from some provincial town messaging you saying how much it’s inspired them, or you get a note from someone like Miuccia Prada saying they loved an image you made. You get a lot of satisfaction out of that because you feel like they’re actually seeing it and that you are connected in some way, and that they actually felt something. A few photographers and a few designers still do that in their work, where you actually feel something in what they’re doing. It’s more difficult with a stylist, because they don’t actually own an image. You just create an image, but you don’t necessarily have ownership over it; you’re just a team player in it. It would be nice to actually own the image you create. Maybe someday I will start photography! iam soo buying it i been fan of his editing for long time. pure genious! lovee dazed so happy the magazine itself will get new direction.